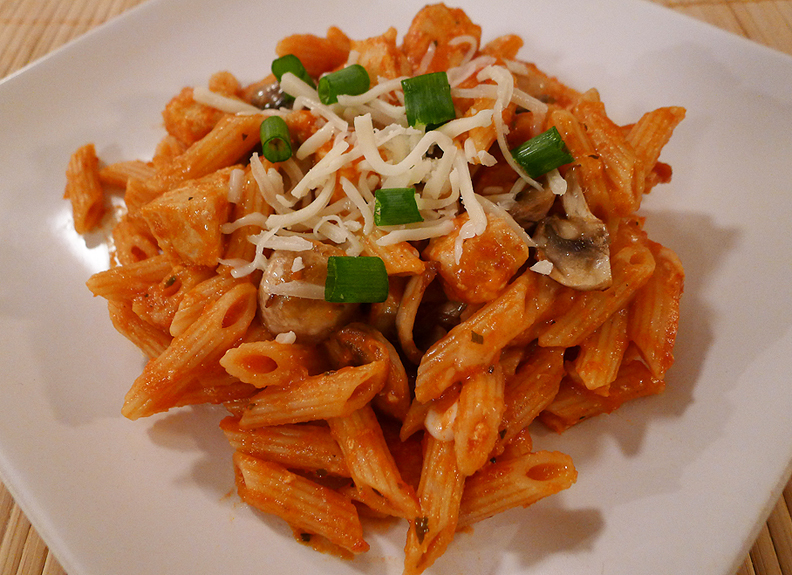 This recipe is perfect for a busy weeknight. I think it took a total of 20 minutes to prepare this meal. I cooked the chicken while the pasta boiled, combined everything into the skillet with the chicken, let it heat through for a few minutes and boom! Dinner was done. Cook chicken in large skillet with 2 tbsp olive oil on medium heat 5 min. Add onions and mushrooms; cook for 5 min. or until chicken is done. Drain any excess olive oil. Add sauce, stir well. Then add the pasta. Cook for a few minutes until heated through. Stir occasionally. Stir in the mozzarella cheese. Cover and let stand for 2 minutes or until cheese is melted. Serve warm, top with a little more shredded mozzarella and some green onions for color. Feel free to add any other fresh vegetables or other combinations to make it your own. I would have added green peppers if it were just me, but sadly, I have a green vegetable hater in the house. * This recipe was inspired by Kraft Foods. 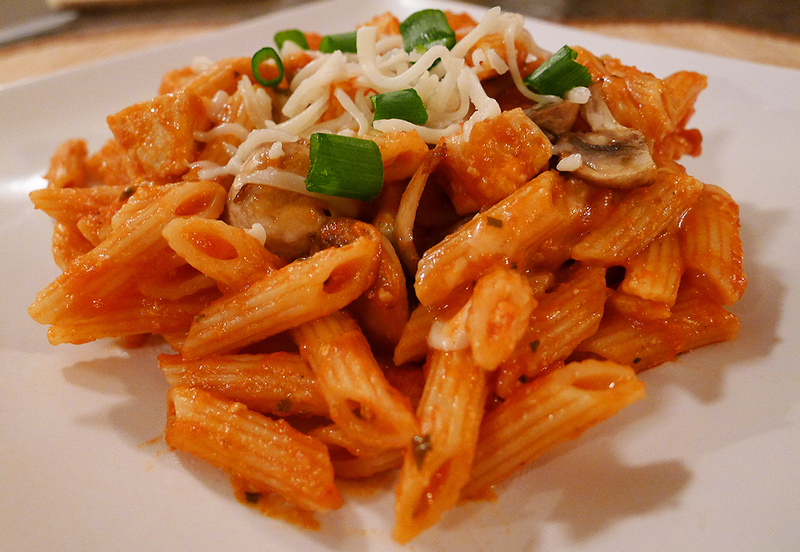 This entry was posted in chicken, dinner, recipe and tagged chicken, dinner, italian, pasta, recipe.